The Thorns head to Orlando to challenge the Pride for third place. The Portland Thorns recently suffered a loss after playing against the North Carolina Courage last weekend. Despite the loss, the Thorns put up a good fight throughout the entirety of the game. The Courage seized the lead early, scoring twice during the first half and giving them a leg up over the Thorns. However, midfielder Lindsey Horan refused to give up and scored a goal for Portland early into the second half. The Thorns continued to push hard and created ample opportunities throughout the second half, but ultimately could not capitalize on any chances. Although the Thorns have great talent, they often lack the strong leadership necessary to play in unison. 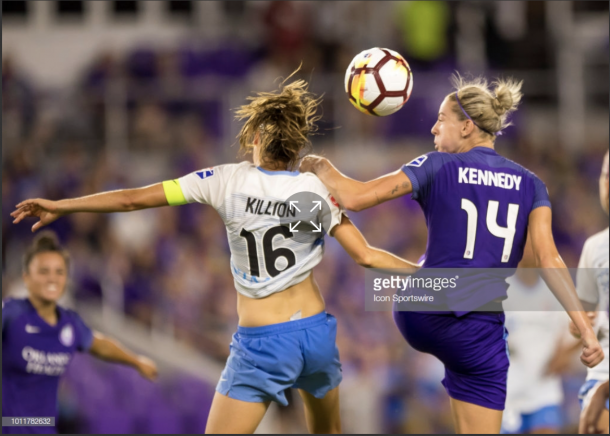 As they take on the Orlando Pride, they will need to increase communication among the team if they hope to earn any points. Similar to the Thorns, the Orlando Pride also had a disappointing result in their previous game. The Pride is currently ranked third in the NWSL, but could not manage a win against Sky Blue. Considering the Pride has a total of 30 points, they should have easily been able to beat Sky Blue, who only have 4 points. The Pride's struggle began early on in the game when star player, Alex Morgan, did not start. Although Morgan was later subbed in during the 61st minute, Sky Blue had already managed to hold the lead for the majority of the game. Fortunately for the Pride, midfielder Dani Weatherholt scored the tying goal at the end of the second half. Orlando missed a vital opportunity for an easy win that could have given them a leg up over the Thorns. As a result of the tie, the Pride will now have to beat the Thorns in order to stand a chance at making playoffs. 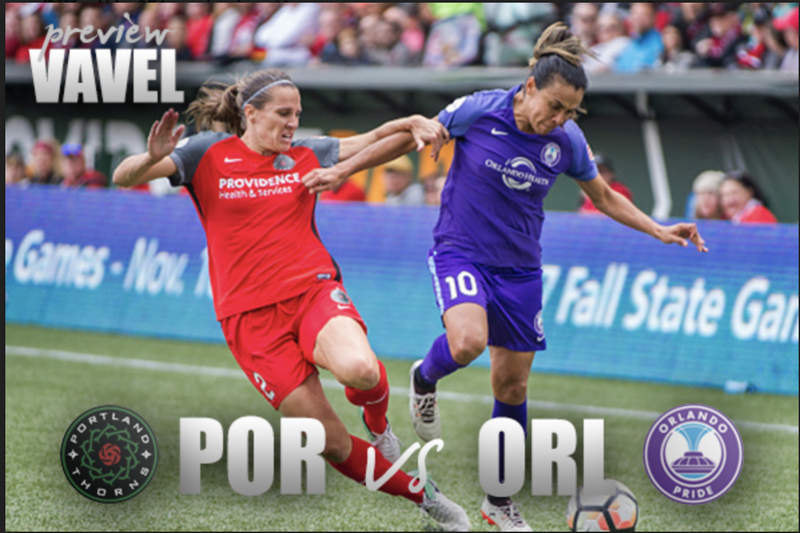 The Orlando Pride and the Portland Thorns are only separated by one point in the standings; Orlando is ranked 3rd with 8-6-6, while Portland is ranked 4th with 8-6-5. This season, Orlando has beaten Portland twice before with a score of 2-1 both times. The Thorns will be looking to break this trend and jump ahead of Orlando to secure their spot in the playoffs. Nevertheless, with such similar scores, one small error on the field could change the course of the entire game. If the rankings stay the same, both teams will earn a playoff spot, but each still vies for the comfort of third place. Tune in Saturday at 7:30 pm ET on NWSL.com to see which team will be placed third.